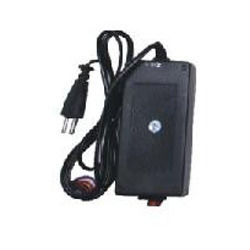 We are among the prestigious organizations engaged in manufacturing and supplying quality range of RO Adapter 48v Amp. These RO adapters are manufactured with cutting-edge technology and finest raw material. Our offered range of RO adapters is extensively used to connect device with the power. Customers can avail these RO adapters from us within a stipulated time frame at competitive price. Established in 2013, Pure & Sure Water Technologies has emerged as Manufacturer and Supplier of Reverse Osmosis and Water Softeners. As a reputed firm, we are providing best quality Reverse Osmosis System, Water Cooler and Dispenser and Water Softener. These are widely used in residential, commercial and industrial establishments for the purpose of purifying water in order to make it suitable for further use. The purifiers offered by us are acclaimed for their ease of installation, low maintenance needs and damage-resistant. These are highly demanded for the purpose of removing dirt, grime and microbes from water in order to make it suitable for versatile applications. Our efficient products have led to an increased demand for them in the market. With the intense focus on serving clients with maximum precision, we have implemented advanced infrastructure system in the market. Our system includes highly advanced warehousing facility equipped with effective material handling system thus, enabling us to provide a wide array of products in tamper-proof packaging. Our extensive array of products is scrutinized by skilled quality controllers under the latest quality parameters for ensuring their prolong functionality. We have employed a team of skilled personnel, who with their vast adeptness of this domain ensures ethical management aspects. Due to these factors, we have attained wide repute among our customers.